SAP TechED 2017 in Barcelona has been an exceptional opportunity to talk to many of (potential) learners about SAP’s Product Knowledge offerings. Our team has grabbed the opportunity to run a reality check on SAP Knowledge’s vision to deliver the right knowledge to the right people at the right time. Project Managers and Business Architects want to learn about the different implementation scenarios, best practices, methodologies and tools. With exploring the Learning Journey “SAP S/4HANA Implementation Methodology and Tools” has been a great way to show the right learning path in the best suiting formats for each individual. Many experts want to gather knowledge about the technical conversion to SAP S/4HANA from an existing SAP Business Suite landscape. Using the “SAP S/4HANA Application Lifecycle Management” Learning Journey we have shown various ways to start building their knowledge from scratch and demonstrated learning path for experts keen to become fully competent with the subject. Consultants especially appreciated the Specialist Certification which is to be found on the same Learning Journey by the end of this year. There are many reasons, why security became a prominent topic at SAP TechED. The number of notorious security breaches (e.g. “wannacry”) and the new EU Law, GDPR bring security as a hot topic into the boardrooms. The increased interest have been shown at the “SAP Knowledge and Training” Pod as well. Mostly business managers have asked about ways they can enable their workforce on security. Using the “SAP System Security and Authorization” Learning Journey we have discovered many possible path to become a security expert on a broad set of topics, starting from security concepts, through deep-dive authorization configuration until SAP Netweaver Application Server Security. During the discussions with various security experts a demand for Secure Custom Code Development has emerged. In order to close this gap in the SAP Knowledge offering we will develop a new learning asset for this purpose in 2018. Stay tuned and check the Learning Journey for the announcement. Development is an evergreen topic at similar events, the demand is high for Programming Courses. This time Application Development was especially popular due to the announcements during Keynote. Although there is an ever increasing number of great learning assets for SAP S/4HANA development covered in the “SAP S/4HANA Programming Learning Journey”, we have realized that development in the cloud ought to be a direction to invest and deliver neatly cut, rather short learning assets for the Developer Community. 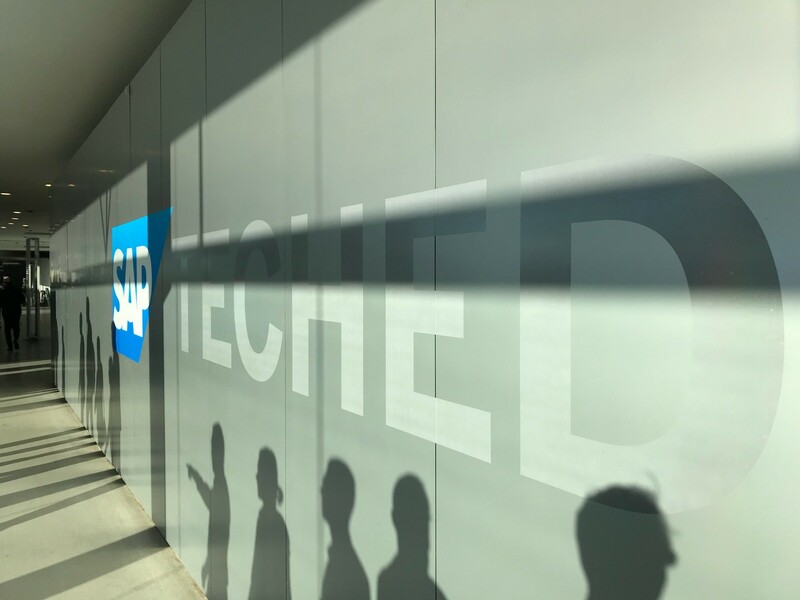 As SAP Leonardo was one of the hot topics at TechEd, we discussed this as well with our attendees, pointing out that SAP Cloud Platform is the heart of SAP Leonardo to extend, integrate, connect and build the business. Machine Learning is all about algorithms; Blockchain, keep in mind fingerprint; Data Intelligence like monetization using ML, Big Data and Analytics; Big Data stands for data collection; Internet of Things is the sensor, connect & exchange; Analytics is the interpretation part. Please note, SAP Cloud Platform is the foundation to build innovative applications for the digital transformation journey of our customers with different services. Currently we have more than 50 to 60 services so far. Regardless of the topics, an overwhelming demand was noticeable for good quality, small sized self-learning assets. People were very excited to learn, that SAP Learning Hub offers way more then an access to e-books. Our discussions partners were thrilled to hear about the Learning Room, which are moderated by industry experts and about the Live Access, where they can run the exercises of the different courses. Next What’s new in SAP HANA 2.0, and where can you find updated training?